Independence Day FREE Offers ~ Philippine Freebies, Promos, Contests and MORE! To celebrate the 113th Philippine Independence Day, the Department of Transportation and Communication (DOTC), the National Commission on Culture and the Arts (NCAA), and the National Parks Development Committee (NPDC) organized FREE offers on rides and other services for its citizens. 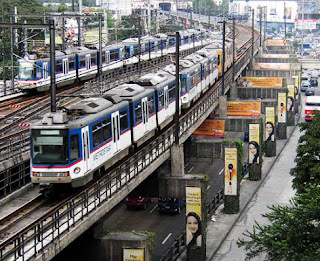 On June 12, at 7AM-9AM and 5PM-7PM, ride on any MRT/LRT stations absolutely for FREE. There will also be FREE film showing (3 movies per night) featuring "Intramuros", "Panaghoy sa Suba", and "Aishite Imasu 1941"at the Rizal Open Auditorium in Rizal Park Manila from June 10-12. Aside from these, job fairs and processing of important documents (NSO birth certificates, Philhealth, SSS, drivers license, etc) may also be accessed.